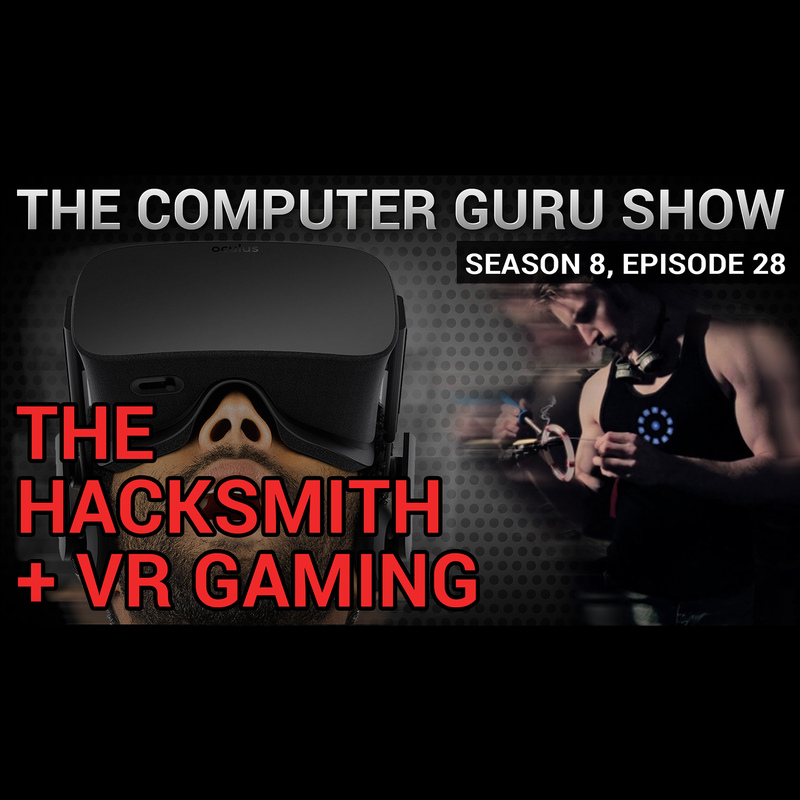 Podcast S8E28 – We launch the Hacksmith’s new website, talk about some cool VR news, take your questions, and much more! We launch the Hacksmith’s new website, talk about some cool VR news, take your questions, and much more! I'm a 26 year old mechanical engineer, quit my job a few months ago to pursue Hacksmith Industries full-time. This is our company vision: Hacksmith Industries is comprised of a small team of outside-the-box engineers who got bored working for the man, and risked it all to do something different -- becoming one of the first media-based research and development company's to design and build prototypes of only the coolest things -- just to share them with the world. In today's day and age, we now have the technology to make things that were once make-believe. Ideas from artists and writers, comics and movies -- stuff that was either faked, or created with CGI effects. A lot of it is actually possible now. So why don't we have hover boards and flying cars, jet packs or exoskeletons? Because while the technology is here, a lot of the really cool projects just aren't commercially feasible. Companies exist to make money -- and if there isn't a viable business plan behind a product -- there will never be a product. Which is where we come in. We capitalize on making one-off prototypes of projects that will blow your mind. We secure funding for the projects by offering advertising opportunities in the media coverage of our projects. Which in turn allows us to build projects that would never be green-lit by regular companies. We exist to make your childhood dreams a reality. We are Hacksmith Industries. We're excited to be working with the Hacksmith, so please be sure to check out his website and his YouTube channel, which you can find here.